Artist Sharli Powers Land (1942-’94), once of Provincetown, Cambridge and Philadelphia, died too young, leaving behind her children, a beloved husband, throngs of bereft friends and a brilliant legacy of drawings and paintings spanning some 30 years. 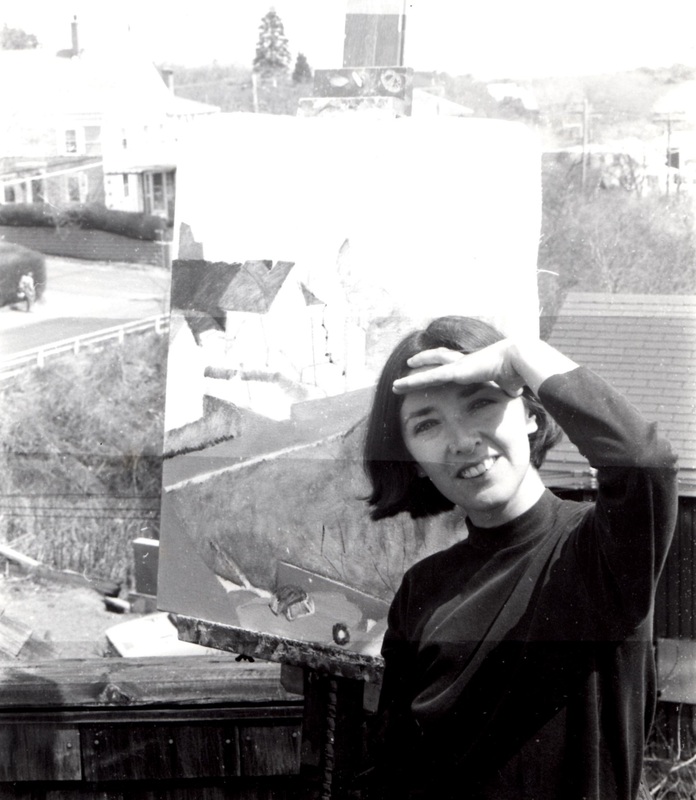 This year marks the 70th anniversary of her birth and, in celebration of her life, her art and her contribution to the Fine Arts Work Center in Provincetown, her family has staged an exhibition of her paintings, drawings and works on paper completed during her time here. Powers Land was a FAWC fellow in 1969-’70 and 1970-’71. From 1971-78, she served on the board of trustees and was visual arts coordinator of the fellowship program. Her commemorative exhibit opened on June 15 at in the Hudson D. Walker Gallery at the Fine Arts Work Center, 24 Pearl St., Provincetown, and runs through July 8.